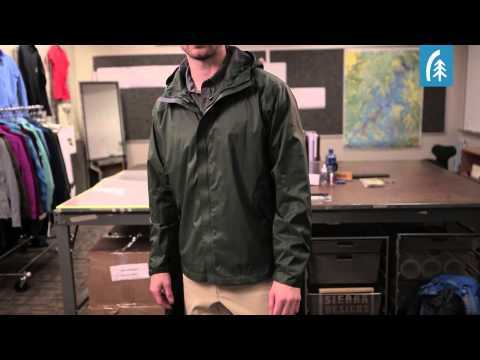 The 2016 Hurricane Jacket is an update to a Sierra Designs favorite. This jacket is all about good looks, comfort, and value, fully featured with a lined interior, multiple secure pockets, and a modern heathered fabric. I have an older version of this coat, well actually I have two. My first one is still holding out most water but I purchased a second one after i realized that 5 years for a rain coat may be a bit of an extension on it's life when worn, literally, all the time. My first coat is now 7 years old and I still use it for our damp midwest days. And I have the second for my trips and class days when I know it's going to be nasty wet and cold.